William Addison Houghton married Charlotte Johnson Morris in Jul 11, 1876 at New Haven, New Haven Co., CT, USA. Phoebe Gillman married Lucius Heywood Houghton, son of Cyrus Houghton and Eliza Adeline Sawin, in 1867 mar 35 years in 1900 census. Charlotte Johnson Morris married William Addison Houghton, son of Cyrus Houghton and Eliza Adeline Sawin, in Jul 11, 1876 at New Haven, New Haven Co., CT, USA. Eloise Jane Leithead married Dr. Edward Howe Hartshorne in May 28, 1869 at Berlin, Worcester Co., MA, USA, on the silver wedding day of her adopted parents, at their home, she, aged 19, he, aged 26. Death Jan 8, 1887 Berlin, Worcester Co., MA, USA, a. 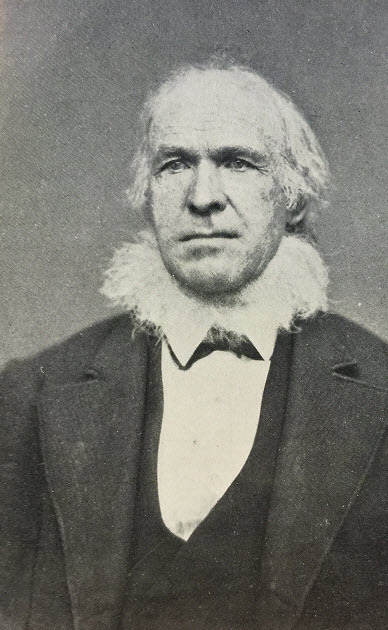 44 y.
Dr. Edward Howe Hartshorne married Eloise Jane Leithead, daughter of Rev. William Addison Houghton and Mary Grace Howe, in May 28, 1869 at Berlin, Worcester Co., MA, USA, on the silver wedding day of her adopted parents, at their home, she, aged 19, he, aged 26. Charles Abbot L. Houghton married Martha A. Perley in Nov 18, 1884 at Rowley, MA, USA, mar 25 y in 1910 census. Death Feb 2, 1847 Berlin, Worcester Co., MA, USA, unm., consumption, a. 25 y. 5 m. 20 d.
Birth Aug 15, 1821 Berlin, Worcester Co., MA, USA, not in Berlin VR, but given as "of B." Death Apr 24, 1849 Berlin, Worcester Co., MA, USA, consumption, a. 27 y 8 m. 9 d.
Abigail M. Houghton and Ira Johnson Sawyer Jr. declared their intentions of marriage on Apr 24, 1846 Berlin, Worcester Co., MA, USA. Abigail M. Houghton married Ira Johnson Sawyer Jr. in May 27, 1846 at Lancaster, Worcester Co., MA, USA, Ira, 26, Abigail, 24. Ira Johnson Sawyer Jr. and Abigail M. Houghton declared their intentions of marriage on Apr 24, 1846 Berlin, Worcester Co., MA, USA. Ira Johnson Sawyer Jr. married Abigail M. Houghton, daughter of Caleb Houghton and Abigail Meriam, in May 27, 1846 at Lancaster, Worcester Co., MA, USA, Ira, 26, Abigail, 24. Dr. Warren H. Houghton married Sarah Alvira Houghton, daughter of Sherman Willard Houghton and Sarah E. Nelson, in circa 1854 mar 46 years in 1900 census; mar 53 y in 1910 census. Jane Houghton married Andrew N. Taylor in Feb 19, 1847 at Wayne Co., OH, USA. Emily Houghton married Calvin Wilson in Jun 12, 1859 at Medina Co., OH, USA, Ohio Co. Records, V. 21, Roll 70, Medina Co. Marriage Records 1818-1865; Vol. C., p. 259. Marriage May 22, 1862 Medina Co., OH, USA, Ohio County Records V. 21, Roll 70, Medina Co. Marriage Records1818-1865," (microfilm, Dal las Public Library), "Houghton, Furonia -Wilson, Philo F., 1862 May 22, W. B. Farrah, Min. V ol. C, p. 371." Sophronia Houghton married Philo F. Wilson in May 22, 1862 at Medina Co., OH, USA, Ohio County Records V. 21, Roll 70, Medina Co. Marriage Records1818-1865," (microfilm, Dal las Public Library), "Houghton, Furonia -Wilson, Philo F., 1862 May 22, W. B. Farrah, Min. V ol. C, p. 371." 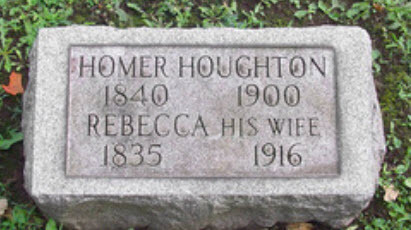 Homer Houghton married Rebecca Condry in circa 1863 at Wayne Co., OH, USA, Schroeder: Jul 7, 1870; mar 37 years in 1900 census. Marriage Sep 29, 1870 Medina Co., OH, USA, Medina County Gazette, 7 October 1870 - married in Westfield September 29, Miss A mney Hickox of Westfield to Oliver A. Houghton of Seville. Oliver A. Houghton Jr. married Anney L. Hickox in Sep 29, 1870 at Medina Co., OH, USA, Medina County Gazette, 7 October 1870 - married in Westfield September 29, Miss A mney Hickox of Westfield to Oliver A. Houghton of Seville. Caroline Houghton married Chauncey Spear. Marriage Ohio County Records V. 21, Roll 70, Medina Co. Marriage Records1818-1865," (microfilm, Dal las Public Library), "Houghton, Alta - Pratt, Benjamin, License 1845, no returns indicated. Maria L. Houghton married Benjamin Pratt Ohio County Records V. 21, Roll 70, Medina Co. Marriage Records1818-1865," (microfilm, Dal las Public Library), "Houghton, Alta - Pratt, Benjamin, License 1845, no returns indicated. Andrew N. Taylor married Jane Houghton, daughter of Oliver Houghton and Elizabeth McCabe, in Feb 19, 1847 at Wayne Co., OH, USA. Calvin Wilson married Emily Houghton, daughter of Oliver Houghton and Elizabeth McCabe, in Jun 12, 1859 at Medina Co., OH, USA, Ohio Co. Records, V. 21, Roll 70, Medina Co. Marriage Records 1818-1865; Vol. C., p. 259. Philo F. Wilson married Sophronia Houghton, daughter of Oliver Houghton and Elizabeth McCabe, in May 22, 1862 at Medina Co., OH, USA, Ohio County Records V. 21, Roll 70, Medina Co. Marriage Records1818-1865," (microfilm, Dal las Public Library), "Houghton, Furonia -Wilson, Philo F., 1862 May 22, W. B. Farrah, Min. V ol. C, p. 371." Anney L. Hickox married Oliver A. Houghton Jr., son of Oliver Houghton and Elizabeth McCabe, in Sep 29, 1870 at Medina Co., OH, USA, Medina County Gazette, 7 October 1870 - married in Westfield September 29, Miss A mney Hickox of Westfield to Oliver A. Houghton of Seville. Benjamin Pratt married Maria L. Houghton, daughter of Oliver Houghton and Elizabeth McCabe, Ohio County Records V. 21, Roll 70, Medina Co. Marriage Records1818-1865," (microfilm, Dal las Public Library), "Houghton, Alta - Pratt, Benjamin, License 1845, no returns indicated. Louisa Houghton married M. J. Parsons. Alonzo Curtis Houghton married Margaret Buell in Sep 12, 1838 at First Presbyterian Church, Broadalbin, NY, USA. Alonzo Curtis Houghton married Susan Maria Wait in Sep 28, 1850 at Gloversville, NY, USA. M. J. Parsons married Louisa Houghton, daughter of Thomas Houghton and Eunice Curtis.